Unfortunately in our house we have had a very long week of suffering from the flu. Like many, in our home having a cold or the flu means we all wanted to eat one thing: chicken soup. 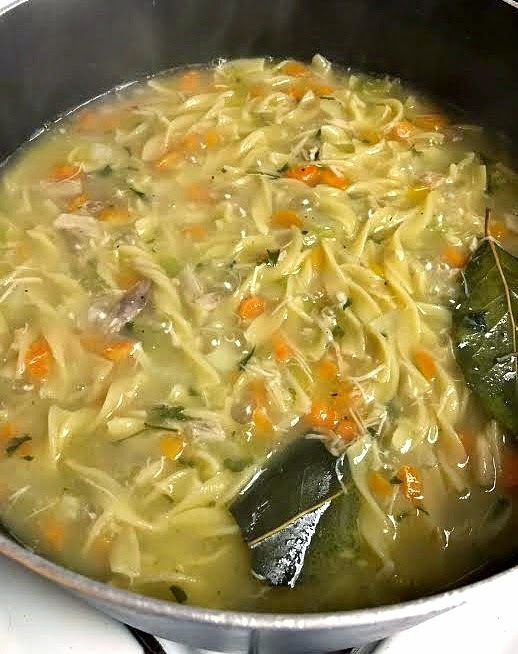 When you are sick there is no comfort quite like a nice, warm bowl of homemade chicken noodle soup. 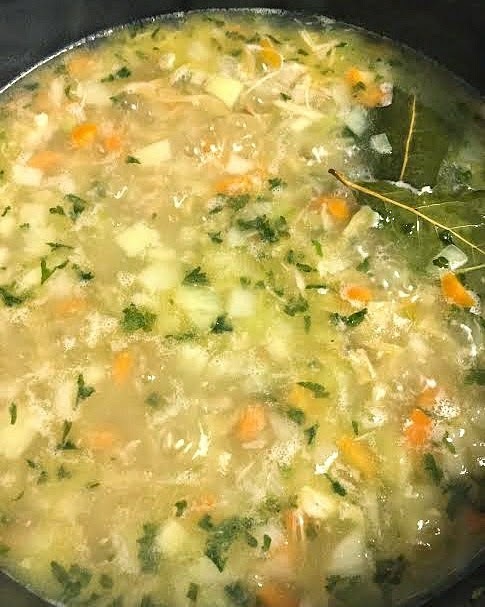 Since cold and flu season hasn't come to a close yet I wanted to share this recipe with our readers with hopes that it will comfort your family like it comforts mine. Once you have all of your veggies diced up you are ready to start making your soup. In a large pot over medium heat heat the butter and olive oil until the butter is melted. Add the onion, celery, carrot, and bay leaves and season with salt and pepper. Cook for about 7-10 minutes until the vegetables soften, stirring occasionally. Add the broth/stock and the parsley and simmer for 10 minutes. Stir in the chicken and noodles and simmer about ten minutes more until the noodles are cooked. Discard the bay leaves and season to taste with salt and pepper. Enjoy! My oh my, this Looks very delicious. My daughter love this kind of soup so thank you for sharing the recipe. Mmm...this looks really good. I love making soup. I'll have to try this soon! This looks amazing! I've been wanting to make some chicken noodle soup. I'm going to try this one out. Thanks! Oh man this looks really good. I usually just buy it in a can but I just might have to make this one. Thanks for the recipe.